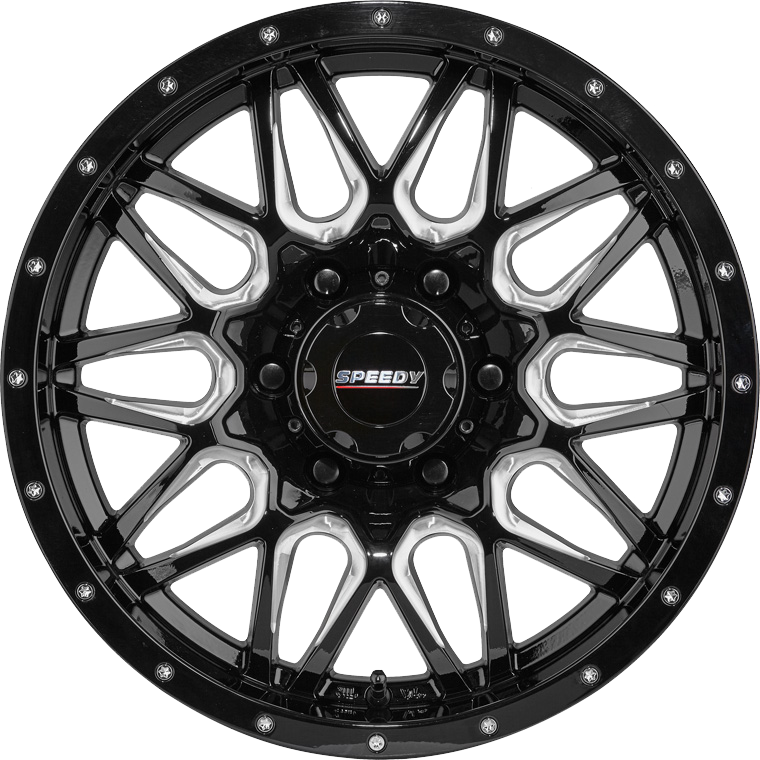 Speedy Ambush is a superbly finished lace design 4WD wheel, finished in high gloss Piano Black, will Milled Spoke Accents and chrome outer lip rivets. Speedy Ambush is a superbly finished lace design 4WD wheel, finished in high gloss Piano Black, will Milled Spoke Accents and chrome outer lip rivets. These features combine to produce a very attractive, yet super strong off road wheel design, which has been developed to suit a range of popular late model off road and light commercial vehicles.